This is a great gadget for your bike, car or motorbike. Screw the unit into the tyre valve and it will automatically turn on when your wheels are moving, stopping when you do. How cool is that? 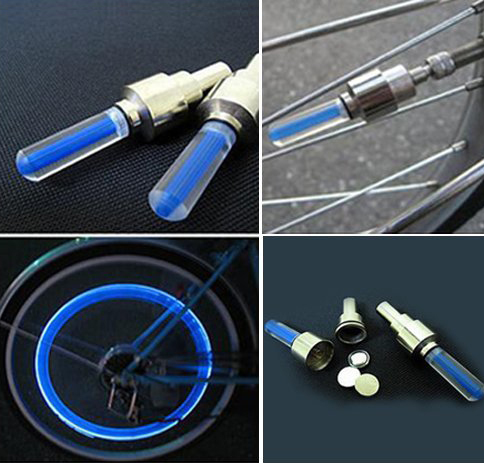 Easy to install, just replace the tyre cap with the LED unit. Superb safety light for your bicycle, be seen at night and get ‘Crusin’ style at the same time! Easy to install and waterproof! This valve cap is available in Red, Blue, Yellow and Green and can be used with motorcycles and bikes as well as cars, boat trailers and anything else with an air valve!